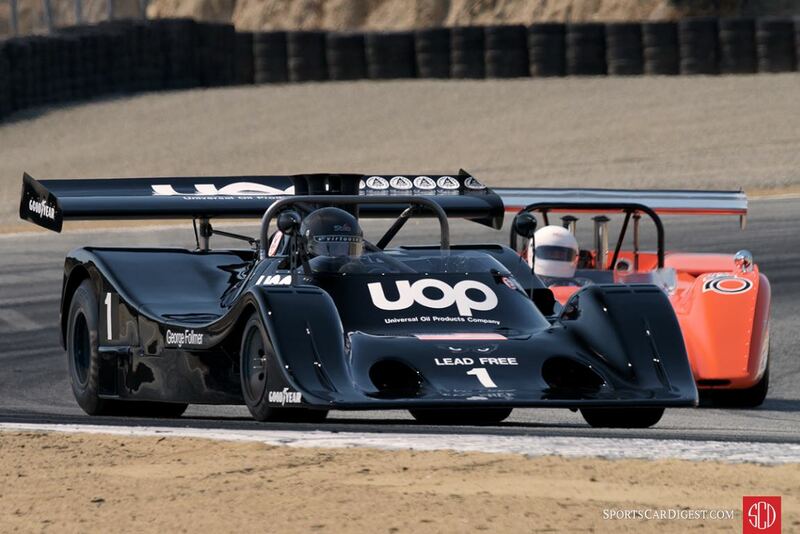 The Monterey Motorsports Pre-Reunion 2016 was held August 13-14 at the 11-turn, 2.238-mile Mazda Raceway Laguna Seca in Salinas, California. 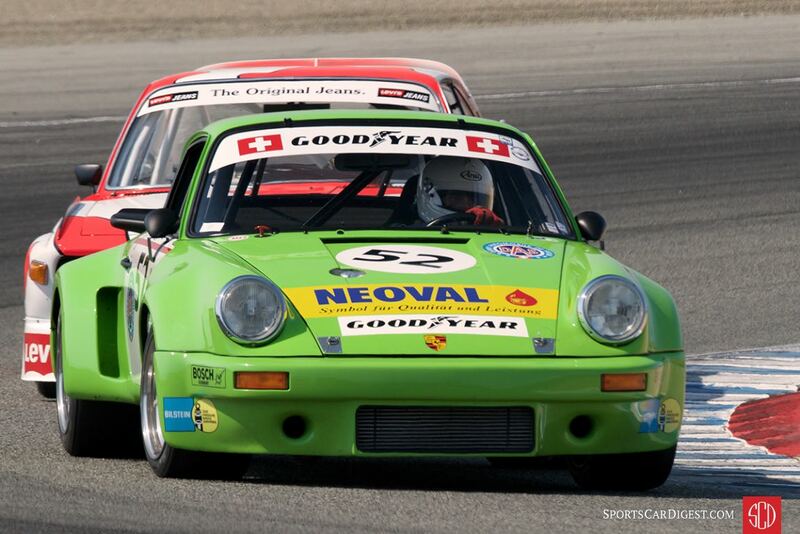 Formerly known as Monterey Pre-Historics, the event is held the weekend before the larger Rolex Monterey Motorsports Reunion. 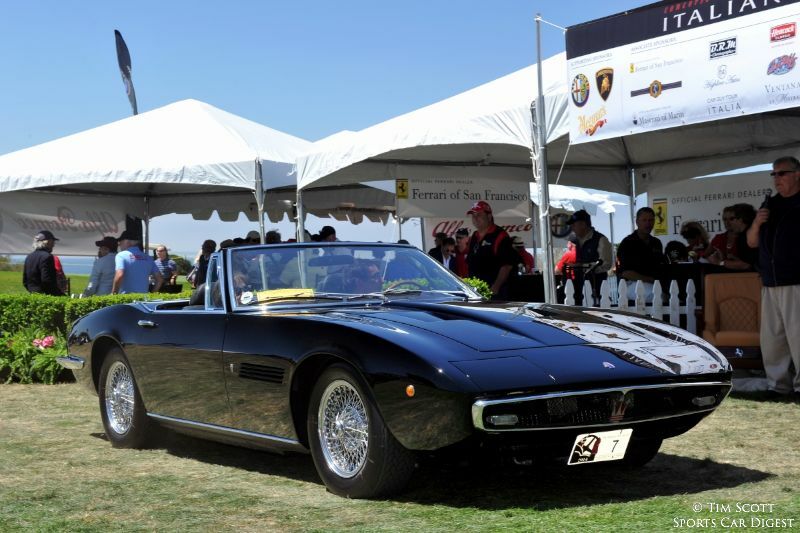 The 2016 running of the Monterey Pre-Reunion was again open to the public, allowing spectators to enjoy a more relaxed paddock environment and a glimpse of the following weekend. 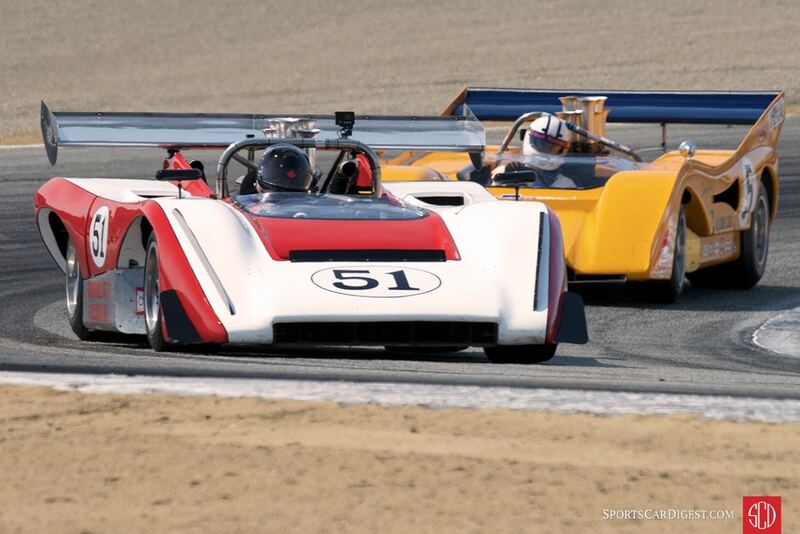 The Pre-Reunion is designed to give Monterey Motorsports Reunion entrants — many of whom have never raced on the technical Mazda Raceway Laguna Seca — track time before the green flag officially drops the following weekend. 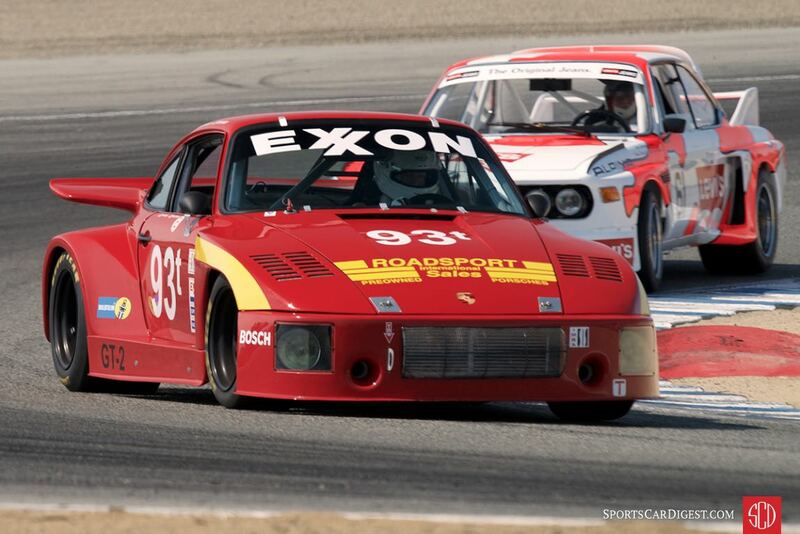 Typically about 50-75% of the cars that race in the Reunion also attend the Pre-Reunion and this year was no different, with approximately 300 historic racing cars on track compared to 550 scheduled for the 2016 Rolex Monterey Motorsports Reunion. BMW is this year’s featured marque and will officially celebrate its 100th anniversary at the motorsports gathering. Therefore it was no surprise to see a great selection of the BMWs on track during Monterey Classic Car Week. 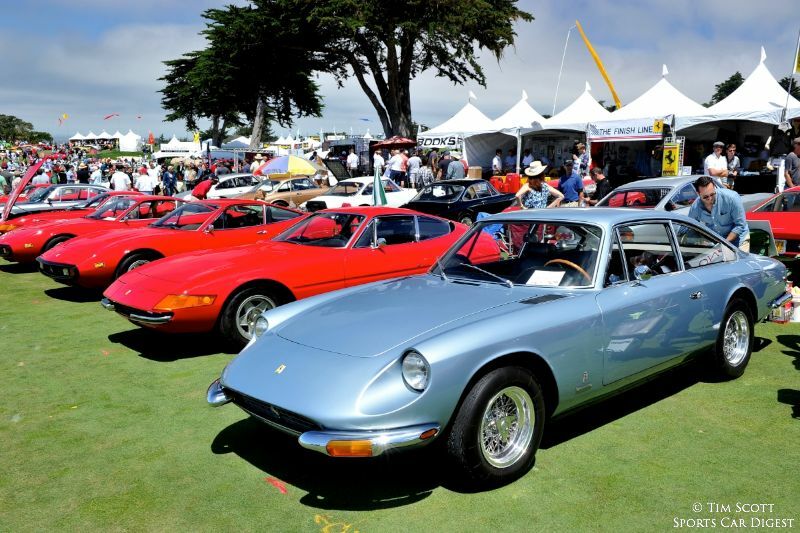 In addition to the finest from Bayerische Motoren Werke, other notable and interesting entrants at the 2016 Monterey Motorsports Pre-Reunion included Chris Cox’s Ferrari 250 GTO and Ferrari 412MI; Alex Curtis’ Mercedes-Benz 300 SL Gullwing Coupe; Dyke Ridgley’s Ferrari 250 GT SWB Berlinetta; Mark Colbert’s Ferrari 250 GT/L Comp; Robert Bodin’s Ferrari 250 GT SWB Berlinetta; Ned Spieker’s Ferrari 250 GT SWB Berlinetta; David Swig’s Scarab Mk I; Erickson Shirley’s Lister Costin; Dean Melling’s Jaguar D-Type and great collection of Can-Am machines. 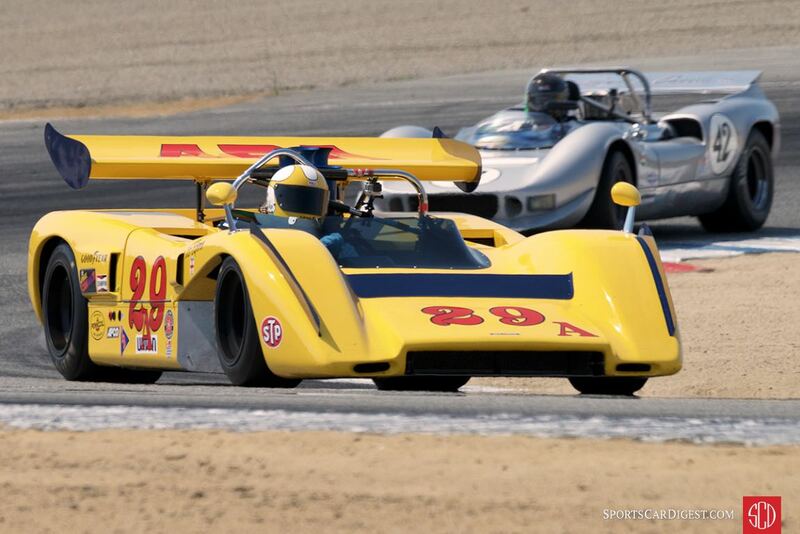 Similar to 2009, 2010, 2011, 2012, 2013, 2014 and 2015, Sports Car Digest also documented the 2016 Monterey Pre-Reunion, with Senior Photographer Dennis Gray highlighting the entrants enjoying their track time at Laguna Seca. Great photos, Dennis. You make it look easy, but I know it’s far from it. 8:18am at the track. heavy Monterey Sunshine. That’s fog for you guys unfamiliar with Monterey weather. Will make for some interesting images as the cars become visible. I can hear the cars coming then there they are. Come on out and enjoy this. You do not show the real early (1920-1939) vintage cars this year….why ? also too many photos.of these “winged” sports racing cars. 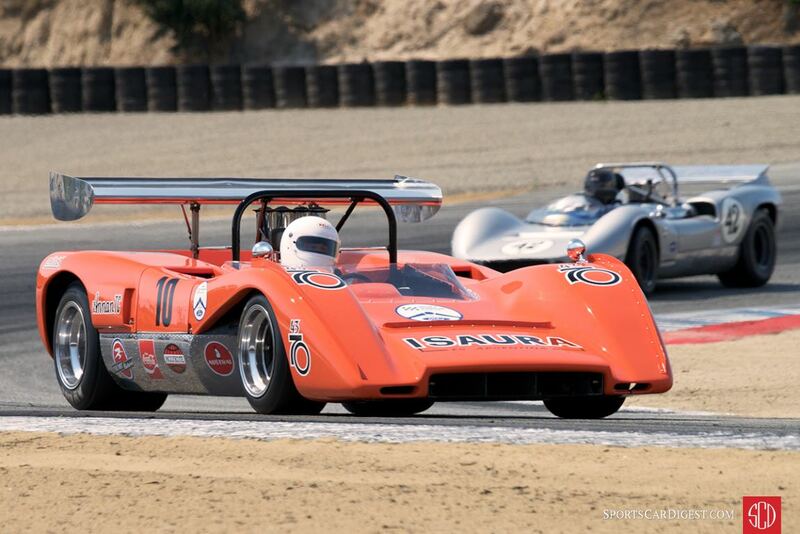 the most pronounced of these winged cars is the Lola T163. and others very close to that. These “poor” drivers cannot race without them, even though their rear ‘slick’ wheels have over a foot wide of rubber. I have worked (at Laguna Seca) on the early Alfas and that Era, when drivers had to skillfully drive their cars. I love the winged sports racers. Jim Hall’s Chaparrals were my favorites when I was in high school. Love to see the cars my friends and I drove too, MGAs and TR3s. kind of a shame that some cars get multiple pictures while others rate NONE. Fun to see that first McLaren image. It’s actually one of two Argentine replicas built by one-time local racer Vicente Formisano. Powered by a tuned F100 truck engine they ran in Argentina’s version of Sport Prototypes. Great photos ! Thank you !